The Dunning process related to early green screen studio production efforts had its limits. It could only work with black and white film and the emerging and highly popular color photography needed special effects as well. In 1940, VFX artist, Larry Butler, produced a technique for the spectacular epic film “The Thief of Baghdad”. For that movie, he used a “three film strip” process. The cameraman shot the scene against a blue background. (Note: blue was chosen as it was farthest away from skin tones and the blue film stock had the smallest grain). By removing the blue background from the foreground plate from the three negatives they were able to create a silhouette and then by using an optical printer, (a new invention at that time), they combined the three filmstrips into one single strip. Then they produced the travelling matte effect by combining foreground and background plates together. In 1940, Lawrence Bumper, made an advancement on this blue screen process and won the special effects Academy Award. It was used to great effect as late as 1956 on the big screen spectacular “The Ten Commandments”. However, the process was still not without its problems. As you can understand from the above paragraph, it’s quite a complicated and time-consuming process involving many individual passes through an optical printer. And often it left a very thin blue line around the objects. It had great difficulty handling thin hair or smoke or motion blur. Most media professionals know green and blue screen and some even remember the old blue screen. However, few recall the “yellow screen process”. Disney began using the yellow screen process in the late 60’s. They used sodium vapor light on actors, lit normally, but standing in front of a white screen. Sodium vapor is like the yellowish/orange you see in some streetlights. The process employed three strip film recording in which the specific wavelengths produced by the yellow sodium vapor light was recorded on special black-and-white film stock. 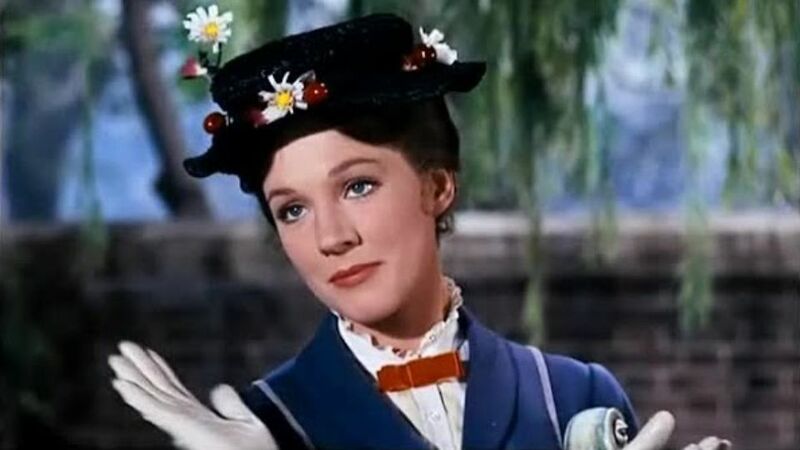 The process produced the best travelling mattes at that time and was used by Disney on the 1960 hit, “The Parent Trap” and later on “Mary Poppins”. In 1964, the “yellow screen sodium process” won the Academy Award for best special-effects. A major difficulty with yellow screen, however, was the strange fact that there was only one sodium vapor camera ever made. It was owned by the Walt Disney Company. MGM wanted to use the process on their new 65mm wide screen epics. But the camera, aside from being a very expensive rental from Disney, was designed for 35mm film. Technician, Bill Fors, was entrusted with the task of trying to solve the problem. After six months he discovered an effective but very complicated process. Difficult to fully comprehend but here it goes. He created a blue screen matte and then using a green cancellation process to the light and exposing both pieces together under a blue light, he created a blue difference after combining a separation positive with the original negative exposed with red light and then using the original color separations with the exception of replacing the blue separation with a composite of the green and the green difference mask. The process required twelve separate elements ranging from the composite negative to the composite inter-negative. However, it did work beautifully. It solved the fine detail issues with blue screen. Okay, I did warn you it was really complicated. And in truth I don’t actually understand the process myself. While complicated, the new process was soon incorporated into the new complex microprocessor controlled quad optical printers and were used as late as “The Empire Strikes Back”. So far, I have not used the term “chroma-key”. We all became familiar with this process decades ago when we watched an actor stand in front of an animated weather map. Blue screen was used all the way up until the 70s when the color blue really finally gave way to the present dominance of green screen technology. While blue screen was an early choice because the blue was the farthest color from human skin, videographers found it took more light to illuminate it effectively than green screen. Even more importantly, the new digital sensors in modern cameras had twice the number of green phosphates than blue and, hence, the sensors were more responsive to green. As cameras get more and more sensitive and the quality goes from HD to 4K, to 8K and beyond, the ability of filmmakers to get more and more realistic digital composites grows. When done correctly, it’s virtually impossible for audiences to know exactly what is real and what is the magic of the movies. And movies were always about magic. We saw that back in the late 1900’s when the art of the motion picture was born. It was always used by artists to mystify, amaze and entertain. Special effects are not new. They grew up with the movies.